Screenshot from video by PA. Her lips are her canvas. Cerra Bellum is a makeup artist based in Baltimore, Maryland in the USA. She is a mother of two sons and has been using her incredible talent to get back on her feet. She draws everything from Minnie Mouse to Miss Piggy, but the lip painting process can take up to two hours! 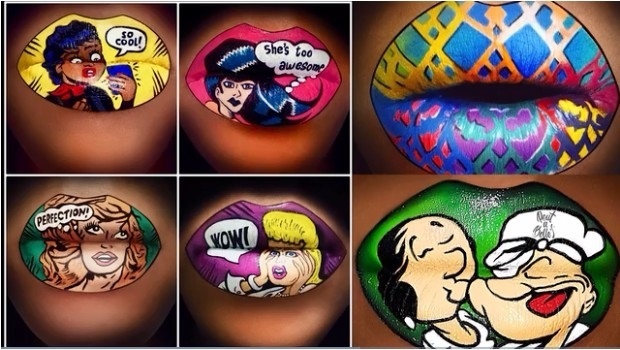 Her lip art skills helped her through a rough time - she was behind on rent and later evicted and forced to live in her car while her kids lived with their grandmother.